Shehr-e Zaat… What an intriguing city this is – locus of myriads of hopes, desires, wishes, dreams, some materialized many unrealized. Akin to an enchantress, it seduces visitors with its manifold charms. There is so much here to see, to explore, to discover, to learn from and rejoice in. The best part, no passport or visa required to visit, it’s all here, within the self. This is an inward journey, a peek into the inner recesses of the soul; places we know exist, but know not how to enter. It is about questions we carry with us, without really being conscious of their existence. This then is the beauty of Shehr-e Zaat. It compels us to look within, past the tedium of everyday routine, and think beyond the realm of that which we think is thinkable. This latest installment began with a reiteration of Falak’s infatuation with Salman and Hamza’s increasing irritation with her incessant chattering. This was a well done scene; Mahira and Mohib’s camaraderie is very natural, but honestly, Mohib, your makeup person needs to be fired ASAP. It is almost impossible to look beyond the heavily shadowed and kohled eyes and the thickly powdered face. The episode kicked off into high gear with naani’s visit to Mehrunissa’s home. Falak’s affection for hernaani is truly heartwarming. I love the bond between the two. Though naani aggravates her flighty granddaughter with her constant interjections, the silent glances exchanged between Falak and her mother at the dinner table are very telling, but still at the end of the day we see Falak laying on her beloved naani’s lap, confiding her innermost thoughts in her, talking about what she is looking for in life. Here, Mahira’s dialogue delivery and expressions were fabulous and Samina’s non-verbal response, pensive and somewhat worried while running her hands absently through Mahira’s hair, was brilliant. Another scene which really stood out was naani drawing the curtains open to let the light in her darkened room, a visual metaphor for the darkness permeating through Mehrunissa’s home. Samina, Sarmad, and his camera crew deserve tremendous applause for this one minute scene, which conveyed so much meaning, without a single word being uttered. Back to Falak, she, who is used to being a cynosure of everybody’s eyes, got a rude wakeup call with Salman Ansar’s nonchalant attitude. 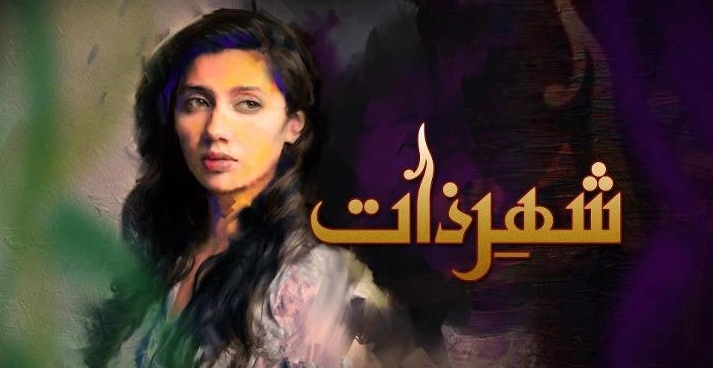 Mikaal and Mahira look very good together and have great chemistry. The scene at the mall and the dinner scene were fun to watch, and the stage is now perfectly set for the fireworks to go off between these two beautiful but over-inflated egos – who will blink first? Revisiting this old favourite SZ and your review’s last word – respect – that also applies to your beautiful meaningful review for this beautiful deep play. It was a deeply satisfying experience to feel the emotions behind the scenes, behind your writing. To me (and for many others), your review and SeZ go hand in hand. Even your initials sort of match!